This is the perfect bag for match day and training to carry all your sporting equipment. 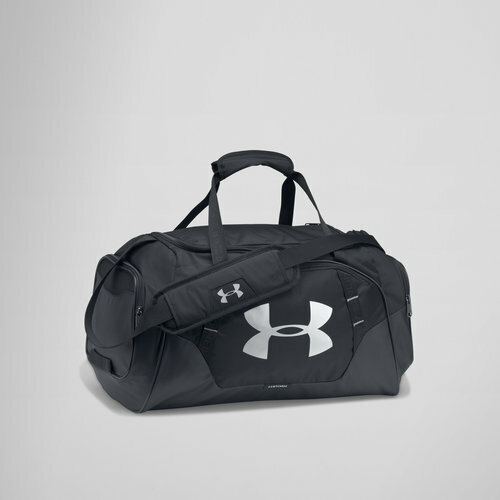 Make sure you use this Under Armour Undeniable 3.0 Small Duffel Bag in Black, Black and Silver. This Under Armour bag is now in its third evolution and keeps getting better and better. It comes crafted from durable materials and combines a large vented pocket for laundry or shoes, one mesh pocket and an additional large pocket to help keep your items organised. This bag has an adjustable, padded HeatGear shoulder strap for ultimate comfort when the user has to take large amounts of heavy items. This service is only £0 - this includes the option to have both a name and a number.